When it comes to United States Online Gambling Laws, the water is a little bit ‘murky’ to say the least. There has been some legislation put in place which restricts credit card use in regards to online gambling transactions, however specific directives prohibiting online gambling at large are not in place that span the United States as a whole. This fact is actually one of the motivations for this site. It quickly became clear that the individual states were going to need to address how they feel about online gambling within their own borders. Most USA gambling enthusiasts don’t have a problem with the ‘states’ rights’ approach on the topic as it is likely to lend more viability to a variety of solutions, allowing the people in each state to have a voice in the matter. While this may not guarantee that online gambling will be legal in every corner of the United States in years to come, it does make it more likely that those people who want access to it will have the opportunity to keep it or make it legal where they reside. Likewise, it gives those opposed a voice in rejecting the venue. After all, this is the American way. But when it comes to down brass tacks in the here and now, there are no United States online gambling laws which completely prohibit it. The many ‘gray’ areas and non-specific language have left the real focus on payment methods, and not the actual participation in online gambling itself. Below you will find a listing of our favorite online casinos which adhere to USA Online Gambling Laws while providing a safe, secure, exhilarating and rewarding online gambling experience. They have all been examined by a team of highly trained online gambling experiences who know precisely what to look for when determining the value and legitimacy of any online gambling site. You will also find information on their current bonus offers to help you get the most bang for your buck! The Federal Wire Act – This US federal laws was passed in 1961 to target illegal gambling operations being run by organized crime syndicates. The law has now been applied to Internet gambling and effectively prohibits US based online sports betting. This section of our guide provides insight into the application of this law and how it affected online gambling in the United States. The Professional and Amateur Sports Protection Act (PASPA) – This law was passed in the early 90s as an effort to curtail the expansion of legal sports betting in the US. It effectively banned physical sportsbook businesses across the country. There are four states that were exempted from the restrictions of this law, including Nevada, Delaware, Montana and Oregon. On May 14, 2018, PASPA was ruled to be unconstitutional by the United States Supreme Court, who lifted the ban on US based sports betting. This page of our website provides insight into PASPA and the states that are challenging the constitutionality of it. The Unlawful Internet Gambling Enforcement Act (UIGEA) – This law really has nothing to do with gamblers themselves, but rather is directed at gambling business operators and payment processors. This laws does not prohibit any type of online gambling and was passed to provide regulatory oversight concerning gambling related transactions and how they are processed. This page will explain the intent and application of this law and how it impacts the US gambling market. USA Online Casinos – Specifically for USA online gambling enthusiasts who love an exciting casino gaming experience that is also safe, secure, and delivers the optimal gaming platform performance, we have developed this section to ensure you have all the information you need to engage in an online casino gambling opportunity that exceeds your expectations! USA Online Poker – Online poker has become incredibly popular over the last few years, and has become one of the most successful online gambling venue out there. We have developed a guide specifically for the discerning poker enthusiast who refuses to compromise on the quality of their poker game platform, and who demands a standard of excellence from their preferred USA online poker sites. USA Online Sportsbooks – All sports betting buffs will love this section that highlights information information regarding the USA online sportsbook industry, as well as provides one click access to the top USA online sportsbooks on the Web! 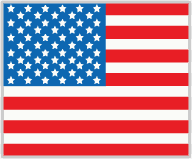 USA Online Bingo – If its the thrills and frills of online bingo you seek, then this USA online bingo guide will become your most valuable resource for finding the highest quality, most riveting, and most rewarding online bingo action out there! Legal Online Gambling – Get all the information you need to enjoy Legal Online Gambling, whether your gaming preferences lie with casino games, poker, sports betting, or bingo – we’ve got you covered by providing information on the best legal USA online gambling sites. Online Gambling Laws – Get the 411 surrounding online gambling laws for your state. Find out which online casinos, poker rooms, sportsbooks, or bingo halls are available for you to enjoy an exhilarating online gambling experience that is also legal! !